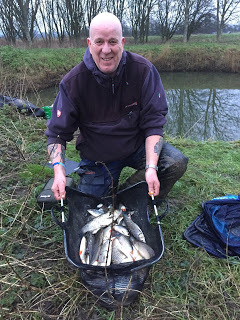 We were finally able to get back on the river for this match and when I got to the Oak in the morning for the draw it was nice to see Baz Morgan was fishing today. 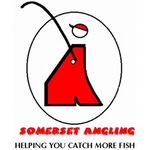 Rob had pegged the Hambridge and Isle Brewers sections and there were also a couple of new pegs in, so it would be interesting to see how they fished. The draw was announced and I went in quite late and was well chuffed when I opened my fingers to reveal peg 129. The last time I drew it back in November I’d had a lovely day catching 12lb odd of roach although the last couple of times its been in it hasn’t fished as well. Rob drew 128 and Baz had pulled out 128a just downstream which was one of the new pegs and it looked nice although these pegs can be feast or famine. Hurf had drawn the other new peg, H1 at Hambridge. After several trips, I eventually got all my kit to the peg and set up a 1 gram Drennan Tipo with a size 18 Kamasan B611 hook to 0.12mm hooklength. I was just about ready in time and slipped a caster on and ran the float through at 8.5 metres in the main flow, the float sailed away and a small gudgeon was the result, I had a couple more gudgeon and some minnows before I caught a tiny roach but I wasn’t going to win anything with fish that size and needed to find some quality. I kept trying different areas and was getting a bites but only from gudgeon, minnows and the very occasional small roach. After an hour I only had 8 or 9 fish (plus minnows) and hadn’t got a pound yet! I could hear Baz asking Rob how he was getting on and it sounded like he was bagging as he’d landed several chub plus some quality roach already. Then it started raining and the temperature dropped a few degrees for good measure which was the signal to get the flask out and put my gloves on. I did manage a slightly better roach from 11.5 metres to my right which a pike had a go at (it’s always the better ones, they’re not daft!) but then it was back to gudgeon and minnows so I decided a walk up to see Baz was in order to warm up a bit. He was fishing the waggler and getting odd fish but Rob above him was bagging, I was only there for ten minutes but in that time he netted several fish and looked to be putting together a big weight. I went back to my peg thinking that if Rob framed, it might not take a lot to win the section by default as Baz was struggling and the other two pegs, 125 and 126, haven’t been great in recent matches. I carried on catching gudgeon and the odd roach and then after around four hours, the float buried and the strike resulted in a substantial amount of blue hydro exiting the pole tip and this was no gudgeon! I was praying it wasn’t a pike that had grabbed a roach (like the last time I was here) and with no real snags to worry about I just let the fish plod about in open water. It eventually came to the surface and it was a chub, a good one too, well over 3lb and I was over the moon when I slipped the net under it. 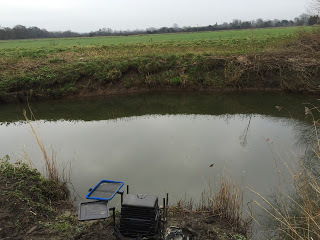 I couldn’t believe it when I’ve shipped back out and another positive bite saw a repeat performance and the twin of the first chub joined it in the keepnet. Over 6lb in two chucks, this was more like it! No more chub followed but as the light started to fade, the ratio of roach to gudgeon increased and I was having to use the landing net more, Mr Pike also eventually got his meal, taking one of my roach and a hooklength in the process. Rob called the all out and I’d ended up with 71 fish (plus minnows) and I thought I probably had 9-10lb. 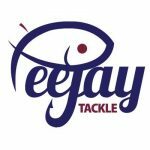 I packed up and took some of my kit back across the field just as Steve finished weighing Fieldy in on peg 126, he’d had 2lb and Steve had 4lb from 125. We walked down to my peg and out of interest I weighed the two chub which went 7lb between them and then my roach and gudgeon took my weight up to 11lb 4oz. 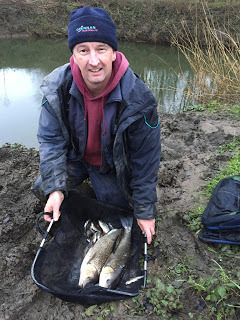 Baz had 3lb 5oz from 128a and had done well from a peg I wouldn’t have fancied, and then we got to Rob, he pulled his net out and he had a lovely bag of fish including seven chub and some clonking roach for 26lb 10oz. We drove back to meet the others and I was expecting to pick up the section money but had a nice surprise when Rob said I was actually third and I picked up £25 plus a nugget from Steve P but he did have the consolation of winning his section, well done mate. 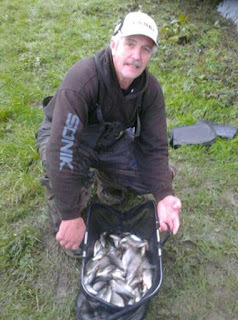 Bruce was second with 13lb 2oz from peg H2 and I’d just pipped Justin who had 11lb 2oz from H4 just above the bridge. *Thanks to Steve Hurford for the photo. After six matches and dropping the worst result Fieldy leads the league with seven points followed by Rob on nine and Justin on ten. Nice brace of chub there Jamie. Hope to get on a river myself this weekend. Thanks Ivan, is that on the Kenn?